Never under estimate the power of the mind when it comes to getting the most out of your training. So often it’s our mindset that can make the difference and accelerate your results. 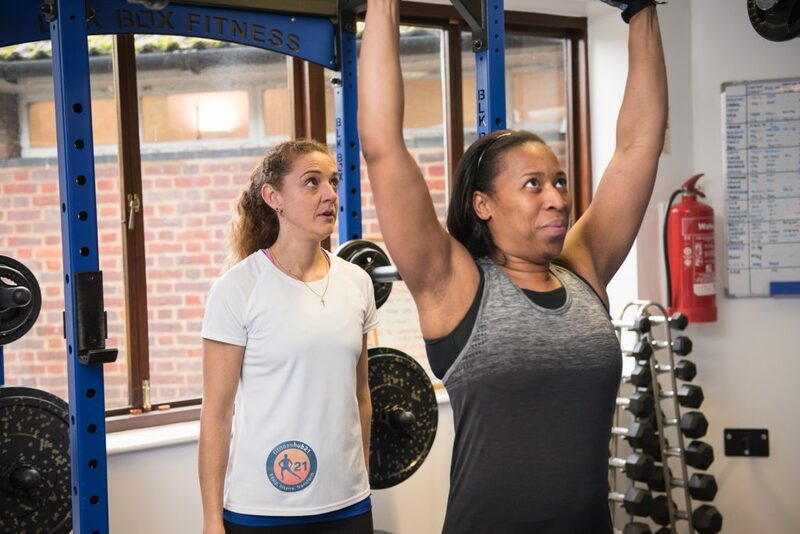 When you first start training just the fact that your moving more can lead to quick results, you feel fitter and stronger and you’re always improving. As you progress and get better you have to learn how to maximise each session to get the most out of it so you can keep moving forward and stay motivated. Here are 3 ways to ensure you stay focused and develop a training mindset to see you through the months and years ahead. Know your goal and stay dedicated to staying the path towards achieving it. If you have reached your initial weight loss goal then set new goals that keep you excited and give you a reason to keep going. Don’t become so obsessed with exercise that it takes over your life, balance is key and having a realistic outlook on what you can achieve in a set period of time. Performance goals are the best type – such as doing 1 chin up, running 5km or simply training a set number of times a week. Obsessing over your weight and training only to see the scales go down can be tiring and make exercise unenjoyable as your chasing numbers that are varied and fluctuate all the time. Commit to being dedicated to the training process, seeing small changes over time in your fitness and strength will keep you going longer regardless of what the scales say. It’s very easy to exercise without much thought or effort, after a while you can start just going the motions and stop trying and hope that you do just enough to improve. You need to start turning up to training with a clear focus on what you want to achieve that day. Be ready and give it all your attention and energy. Never leave feeling like you could have done more – seek to maximise your time but giving 100% of all you have that day. Being focused for each session will help you to reach your full potential – leading to better results for years to come. There is nothing better than seeing our members progress and reach their goals, it’s why we exist and what we are all about. Celebrate the achievements but keep moving forward and focus on where you are now. Come into the gym focused on what you are trying to achieve that day, in that session. Make it count so that you can keep going and improve on what you have already achieved. Aim to stay the course, make exercise part of your life, set performance goals and only focus on the now and where you want to go in the future.